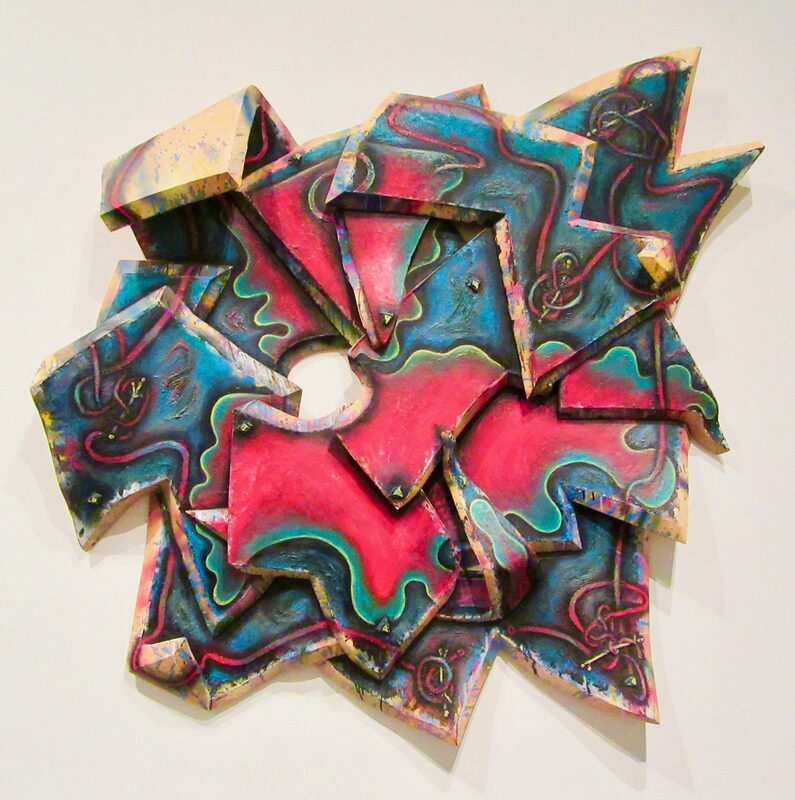 Elizabeth Murray belonged to a generation of postmodern artists that challenged the austerity and impersonality of Minimalism and post-painterly abstraction by working in different techniques and styles simultaneously, blurring perceived boundaries between traditional media. 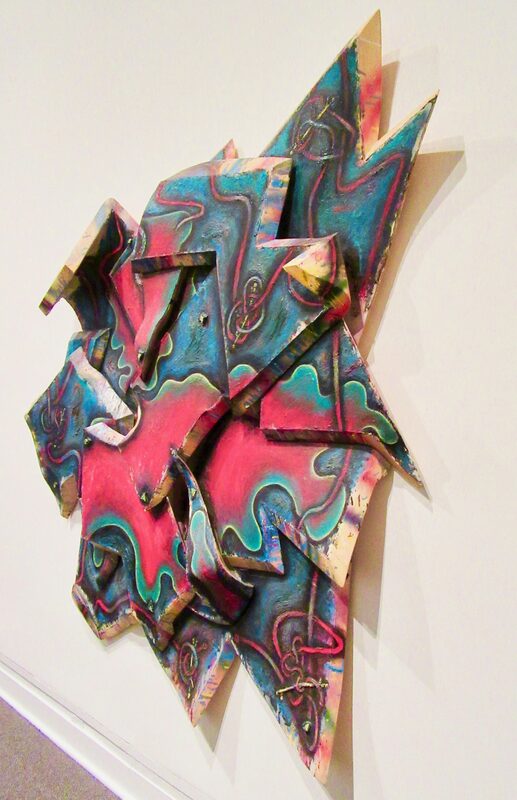 Composed of multiple, irregularly shaped canvases that are seemingly combined haphazardly, Terrifying Terrain (1989 – 90) is a sculptural painting — or a painted sculpture? — that conjures the precariousness of an awe-inspiring rock-climbing trip in Montana. Jagged, overlapping planes convey the mountainous landscape that the artist experienced there, as well as the constant threat and fear of falling. The opening in the middle simulates the effect of a climber’s vertiginous view down into a ravine.